Explain the various reasons why structural steel is an ideal material to meet the lateral loads and wind and seismic requirements supported by the building core. Identify the safety and durability benefits of various long-standing steel core systems, including X-bracing, outriggers, and damping systems. Discuss the latest data and applications on newer systems, including steel plate sheer walls, composite systems, and pin-fuse frames. Describe case study applications where the different steel-braced systems were successfully applied. The structural design for many of today’s commercial buildings is frequently focused on the building core, especially in the choice of materials used to construct it. Usually a fixed programming zone that does not obstruct things like views and mechanical equipment placement, the building core is a convenient place to satisfy the structure’s wind and seismic requirements. 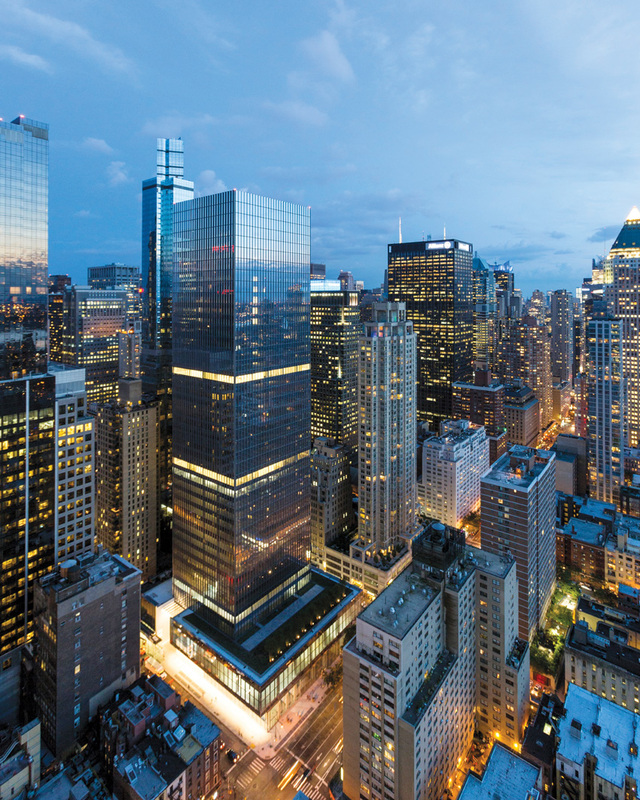 Supporting a sophisticated steel building core, Arup innovated a unique design of viscous dampers for a 40-story office tower at 250 West 55th Street in Midtown Manhattan. Attached to a series of outriggers that connect the core to the building perimeter, the dampers add additional stiffness. While the choice of building material for the core is dependent upon a variety of factors—including the height of the building, the size of the floor plate, and site logistics—a strong argument can be made for choosing steel-braced cores over their concrete alternatives. “Steel-braced frames have been designed for decades with stiffness suitable for even the tallest buildings,” reports Charlie Carter, PE, SE, vice president and chief structural engineer, American Institute of Steel Construction, Chicago, citing the Windy City’s John Hancock Building and Hong Kong’s Bank of China Building as two well-known examples. As a lighter material, a steel-braced core supports a smaller foundation and a more efficient speed of erection, thereby impacting construction schedules for the better. 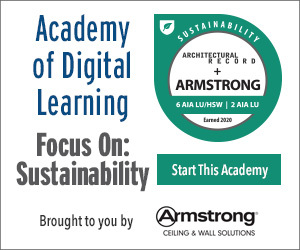 For example, Arup recently started work on a 16-story building in New York City. The engineers and project team chose to go with all-steel construction because the ground conditions are very challenging, so keeping the building weight to a minimum was a big driver. “Cycle time is paramount in tall building construction, and steel framing can typically be erected much quicker than concrete can be formed and poured,” adds Tim Santi, principal, senior project manager, Walter P. Moore, Atlanta. Attaching steel to steel is also more efficient than connecting steel to concrete, and larger floor spans from the steel core wall out to the glass facade can be achieved, explains John D. Hooper, PE, SE, senior principal/director of earthquake engineering, Magnusson Klemencic Associates (MKA), Seattle. “Concrete systems work to tolerances that are measured in whole inches, whereas steel systems work to tolerances that are fractions of an inch,” adds AISC’s Vice President John Cross, PE. Santi also points out that when concrete cores are used in conjunction with a steel-framed floor, embedded plates must be cast within the core, which can be a challenge for many builders to place properly. And when it comes to supporting future service penetrations into the core, in the space between braces, a steel core is much more forgiving and flexible, as compared to the expense involved in cutting or drilling into a concrete core. Of course, another big advantage with steel-braced cores is avoiding the complexity and additional time involved in dealing with two trades—one erecting a steel structure, while the other works to form a concrete core. “For low- and mid-rise steel buildings, steel bracing is likely to be the most economical solution, as the main structure is installed in one go, with no separate operation to form the concrete for the core,” reports Jackson. In fact, steel-braced cores have largely been adopted as the go-to solution in New York City, where speed of erection and construction efficiencies are priorities. “NYC has become very efficient at erecting steel framed cores for steel framed building,” notes Jackson. Although construction practices have improved over time, the safety issue of contractors placing concrete for the core above where ironworkers are erecting the steel frame still exists. In New York, this can result in project slowdowns. Modular concrete cores eliminate this problem entirely, as their erection is typically under the jurisdiction of the ironworkers. In most cases, components of these cores are manufactured off-site in custom molds, then quickly installed on-site. Because shafts are manufactured as a series of boxes, temporary structures are minimized during installation. These cores can be designed as shear walls to provide lateral stability, or as an efficient replacement for block-work or poured-in-place concrete. Working with a crane, the installers can also ensure that all components, including elevator channels and control panel recesses, are positioned precisely. According to one supplier, capping slabs are also designed with all temporary and permanent anchors cast into the concrete, ensuring safe installation of other mechanical and electrical components.